A symbolic ceremony is the perfect solution for those couples that wish to get married without any sort of binding – whether religious or legal – or for those who want to renew their vows in an important place, after having already celebrated their civil wedding. This celebration consists in a union sanctioned by laic rite that holds no sort of legal or religious validity. A symbolic ceremony offers you the possibility to celebrate a rite that is entirely customizable, and can be personalized following your traditions and values, without the need for any sort of legal documentation. 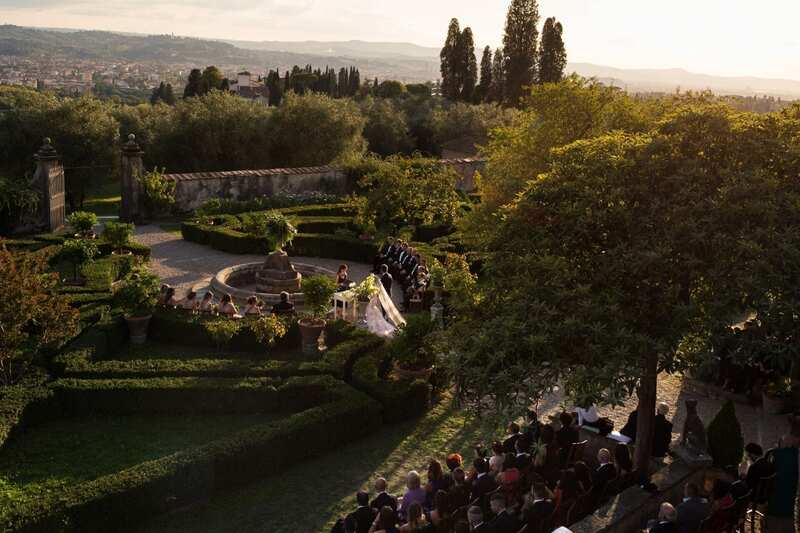 It’s possible to set up the ceremony at any sort of venue – for example a villa or a flowery meadow – without any kind of restriction or limitation by the Municipality, and the celebrating minister can even be a friend or loved one.